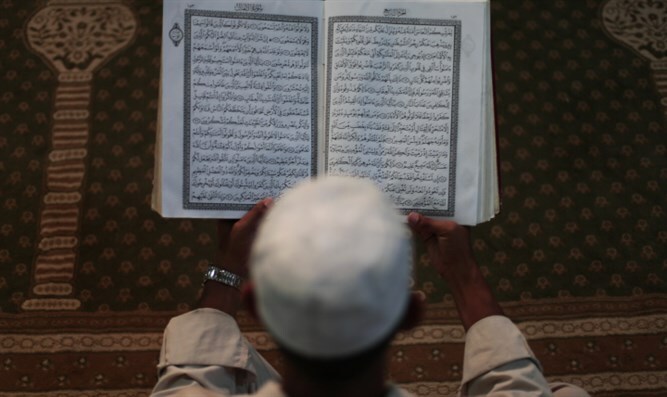 Scholars studied the Koran to show it opposes ISIS-type actions, but discovered that the origin and source of terrorism is indeed the core doctrine of the religion of Islam. No 'religion of peace' there. Using the term “mockers” for those who criticize and “insult,” the bill’s author says the issue will not be up for public debate, as that would have a negative and dangerous effect on Egyptians. The parliamentary bill was under review for the entire month of October and is now up for discussion in the fall session. Historically, Egypt’s government addressed restrictions on speech just two other times. The more recent was an amendment to the constitution in 1977 called “The Law of Defective Values.” With this, Sadat muzzled opposition voices to his visit to Israel and the subsequent signing of the Camp David peace treaty. Today’s speech bill is unlike the previous two dictates. It does not aim to restrict outcry against the Egyptian president, political leaders or a specific political issue. Egyptians already know not to cross this line. Neither will it limit expression against Egypt’s ancient heroes, the gods or the glorious past. Certainly, the bill will not guard against disparagement of Christian symbols -- Christian leaders, biblical figures or the bible. None of this disturbs the state. Instead, the proposed bill aims to end public discourse about the religion of Islam – its doctrine, political ideology, scholarship and history. In recent years, various Muslim thinkers focused on the parallel texts of the Quran and brought thought-provoking facts to light challenging official narratives. Ostensibly, scholars set out to full proof and secure within the Arab-speaking world (in particular in Egypt) the argument that ISIS terrorism is not based on the fundamental precepts of Islam, the “religion of peace.” However, instead, scholars came to the unwelcomed consensus that the origin and source of terrorism is indeed the core doctrine of the religion of Islam -- refuting categorically that Islam is a religion of peace. Their conclusions prompted Al-Sisi to initiate his renowned “renewal of Islamic discourse,” an effort with Al-Ahzar Institute to reform interpretation of Islamic doctrine in order to cleanse the hate and violence. Al-Sisi has been so far unsuccessful. While free thinkers and scholars were able to prove their conclusions, Al-Ahzar religious scholars were unable to prove the opposite – that Islamic doctrine leads to peaceful co-existence. Furthermore, as a result of their research, many Muslim thinkers determined that Egypt should be a secular state with no state religion. All of this has been a thorn in the side of the Al-Sisi government and its connection to the religious deep state. Over the past decade, Islam Al-Beheiri, Sayed Al-Qimni, Nawal Al-Saadawi, Nasr Hamed Abu Zeid and other thinkers like Yossef Zydan were all convicted for the offense of analyzing the life and conduct of Islamic religious icons and figures. Each of them illustrated something other than the official narrative of Al-Ahzar Sunni Institute. Every scholar, researcher and broadcaster, was shut down and some were jailed. Interestingly, Yossef Zydan was not arrested for criticizing the Muslim-Egyptian military commander, Ahmed Urabi (1841-1911), for burning the city of Alexandria during the fall of the Ottoman Empire. Zydan was allowed to state his negative opinion because although Urabi is an important historical symbol for Egypt he is not considered an Islamic religious figure. On the other hand, Zydan found disfavor with the Egyptian government for criticizing another military commander, Salah El Deen Al Ayubi (1138-1193), because Al Ayubi is known as an important Islamic religious symbol. Al Ayubi founded the Al Ayubian caliphate state, which united Egypt, the Levant, the Hijaz, and Tihama, and Yemen under the Abbasis banner after destroying the Fatimi Caliphate. Zydan claimed that Al Ayubi was a criminal and paid dearly for his opinion. Those censored and arrested have done one thing wrong – spoken out about the religion and ideology of Islam in contradiction to the official narratives. President Al-Sisi’s failed “renewal of discourse” promoted during his first term in office is now followed by Hamroush’s bill as the plan B to silence Muslim thinkers. The law is mainly intended to be a legal reinforcement of what already takes place in Egypt – shutting down opinions, discussions and debates about Sharia, Quranic scholars (past and present), Islamic texts and doctrine. Already, without the legislation, courageous fact-findings and stark truths are what taunt the religious deep state and trigger the courts. He contends that young Egyptians will lose their historical role models if debates continue to threaten the integrity of meaningful icons of Egypt’s past. Hamroush is promoting his current bill with TV interviews and rationalizations on Facebook. His language is evasive and euphemistic. His rant obscures the bill’s real objective, which is to control the image of Islam by regulating speech. He offers deep concern for young Egyptians as the reason for his resolution. He contends that young Egyptians will lose their historical role models if debates continue to threaten the integrity of meaningful icons of Egypt’s past. If critical thinkers are allowed to speak freely surely they will have a negative effect upon young Egyptians. In turn, this would destabilize confidence and spread frustration. The goal should now be to protect these important figures from denigration and stop their images from tarnishing. Hamrouch deploys the Islamic art of deception in the way he shaped the bill. He conveniently cloaked the real issue (protecting the religion of Islam) in broader terms to avoid a potential backlash of accusations against Islam for direct responsibility in suppressing the free speech of Egyptians. If Hamroush’s proposal becomes law it will serve to broaden the Bedouin blasphemy law of Hesba. Currently, this silent rule is employed when a Muslim accuses another of blaspheming Allah (and his prophet) and submits a lawsuit against the blasphemer in civil court. The Hesba has always been used to arrest and convict notable Muslim scholars. If passed into law, Hamroush’s proposal will codify this convenient devise of the Islamic creed and crucially expand the usage of it to include “slurs” against Islamic historic figures and icons. If so, this will narrowly limit interpretations and opinions of Islamic historical events and suffocate free thought beyond today’s boundaries. This would be a significant advancement for Egypt’s religious deep state. If and when the bill is voted into law, voicing unpleasant truths about Islam risks a prison sentence of three to five years and a fine of 100,000 to 500,000 Egyptians pounds. Repeat offenders would face five to seven years in prison and an increased fine of 500,000 to one million EP.